“A Death in the Rainforest is magical and powerful, a journey deep inside a village of 100 souls in one of the remotest places on Earth whose language is spoken by no one else, a place of love and jealousy and desire undergoing profound change. Kulick is funny, lyrical, sad, and always insightful and empathetic. 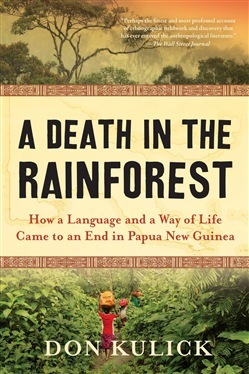 It is a profoundly human story about a seemingly exotic and strange place that really isn't so strange at all.” —Carl Hoffman, author of The Last Wild Men of Borneo: A True Story of Death and Treasure Don Kulick went to Papua New Guinea to understand why a language was dying. But that was just the beginning of what he learned. 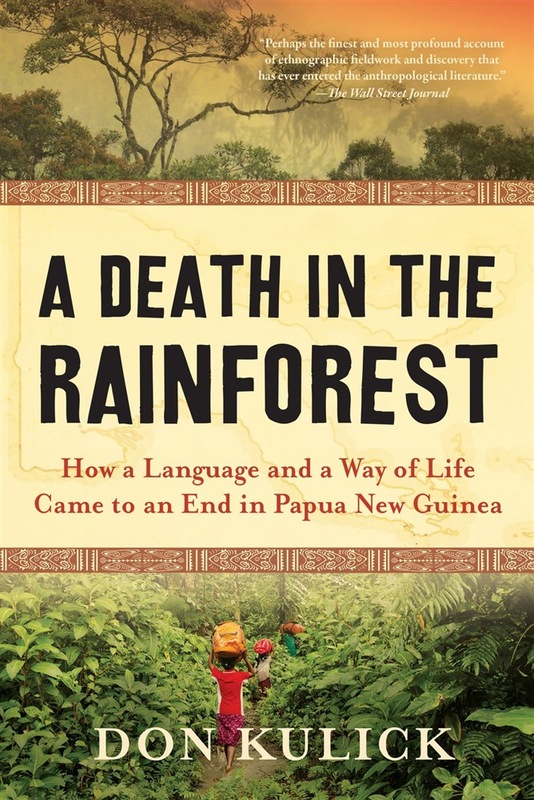 Renowned linguistic anthropologist Don Kulick first went to study the tiny jungle village of Gapun in New Guinea over thirty years ago to document how it was that their native language, Tayap, was dying. But you can’t study a language without settling in among the people, understanding how they speak every day, and even more, how they live. This book takes us inside the village as Kulick came to know it, revealing what it is like to live in a difficult-to-get-to village of two hundred people, carved out like a cleft in the middle of a swamp, in the middle of a tropical rainforest. These are fascinating, readable stories of what the people who live in that village eat for breakfast and how they sleep; about how villagers discipline their children, how they joke with one another, and how they swear at one another. Kulick tells us how villagers worship, how they argue, how they die. Finally, though, this is an illuminating look at the impact of white culture on the farthest reaches of the globe—and the story of why this anthropologist realized that he had to leave and give up his study of this language. Smart, engaging, and perceptive, A Death in the Rainforest takes readers into a world that will soon disappear forever. Acquista A Death in the Rainforest in Epub: dopo aver letto l’ebook A Death in the Rainforest di Don Kulick ti invitiamo a lasciarci una Recensione qui sotto: sarà utile agli utenti che non abbiano ancora letto questo libro e che vogliano avere delle opinioni altrui. L’opinione su di un libro è molto soggettiva e per questo leggere eventuali recensioni negative non ci dovrà frenare dall’acquisto, anzi dovrà spingerci ad acquistare il libro in fretta per poter dire la nostra ed eventualmente smentire quanto commentato da altri, contribuendo ad arricchire più possibile i commenti e dare sempre più spunti di confronto al pubblico online.